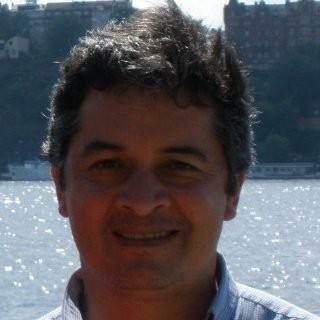 Moacyr Araujo is the Director of the Center for Risk Analysis and Environmental Modeling (CEERMA-UFPE), Brazil. He is an Associate Professor of the Department of Oceanography at the Federal University of Pernambuco. Among other positions Moacyr is a member of the Scientific Steering Committee and co-chair of the Project Prediction and Research Moored Array in the Tropical Atlantic (PIRATA), Chair of the Brazilian Research Network on Global Climate Change (Rede CLIMA), and Co-chair of the WG 1-Scientific Basis of the Brazilian Panel on Climate Change (PBMC). 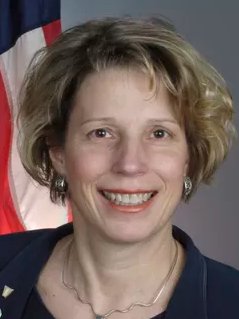 Deerin Babb-Brott is the Principal Assistant Director for Oceans and Environment at the White House Office of Science and Technology Policy. He also serves as the Executive Director of the Ocean Policy Committee, established by Executive Order 13840 to coordinate Federal agency engagement in ocean policy matters. 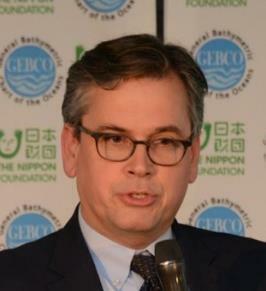 Deerin previously served as the first Director of the National Ocean Council and led development of the final U.S. National Ocean Policy Implementation Plan. Between terms at the White House, he was a senior partner at SeaPlan, where he provided technical and policy support for public and private sector ocean and coastal management initiatives. 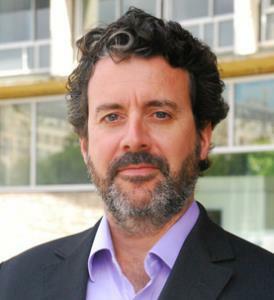 Julian Barbiere is head of Marine Policy and Regional Coordination Section at the Intergovernmental Oceanographic Commission of UNESCO. He has approximately 20 years of experience at the international level in the field of ocean sustainability, ocean governance and the implementation of ecosystem-based management. He has led the development of international guidelines on Marine Spatial Planning, and was instrumental in the proclamation of the UN Decade of Ocean Science for Sustainable Development at the end of 2017 for which he is the focal point. 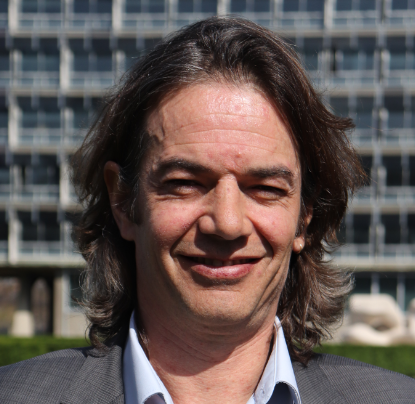 Mathieu Belbeoch is the Technical Coordinator of the international Argo programme since 2001 and the leader of the JCOMM Observations Programmes Support Centre. 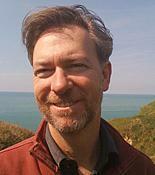 With a mathematical engineer background, applied to numerical modelling in oceanography, and after a short experience in web development projects leading, he has supported the development of the revolutionary ocean observing programme Argo and developed more generally the support to main in-situ ocean observing systems within the JCOMMOPS initiative. 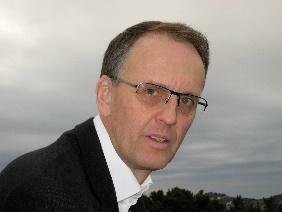 John Bell is Director for the Bioeconomy in DG Research & Innovation. 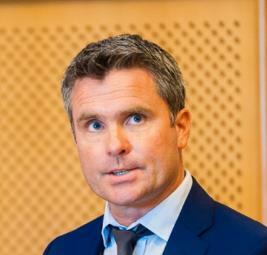 He is responsible for leading the definition, implementation and investment of EU Research & Innovation policy and programming across the Bioeconomy; from agriculture and food systems, oceans, marine and maritime issues to investment in new sustainable bio-based industries. This includes Horizon 2020, 3.8 billion Societal Challenge 2, the EU Bioeconomy Strategy, the 3.7 billion euro Bio Based Industries Joint Undertaking and Food and Nutrition Security FOOD2030. A native of Dublin, Ireland, he was educated at University College Dublin and Doctorate (D. Phil.) at St John’s College, Oxford University. During his E.C. 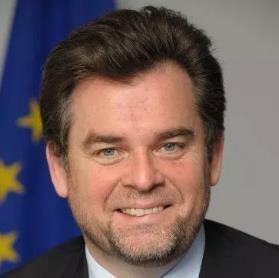 career he has worked in External Relations and on Poland’s accession to the EU. Dr Bell was a member of the Cabinet of Commissioner David Byrne with responsibility food safety, tobacco control and public health. He was Chef de Cabinet to European Commissioner Meglena Kuneva on Consumer Affairs. As Chef de Cabinet to Commissioner Máire Geoghegan-Quinn on Research and Innovation, responsible for Horizon 2020. 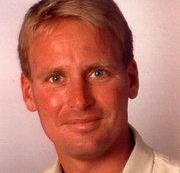 Mike Berthet is Partner and co-founder of Ocean Partners Association (OPA). A qualified Chef who has over 30 years of experience in Fish and Seafood, mainly in M&J Seafood. He had focus on sustainability issues to ensure the company’s passion and commitment to responsible sourcing was maintained. Mike has been working with the Industry, Governments, NGOs, and Fishermen to identify the drivers for consistent advancement of safe sustainable fishing and connecting the Food Service Industry seamlessly, end to end, to embrace the necessary changes for a ‘Perpetual Harvest’ that can feed this and future generations. Janica Borg is the Policy Coordinator for Marine Protection and Spatial Planning for WWF European Policy Office. She holds a degree in marine biology and professional scientific diving and started her career as a research diver in the Baltic Sea. She continued into the world of decision making processes of MPAs in the Baltic Sea, before moving to Brussels to expand her work across the whole EU. Her favourite topic is how to improve the link between decision making and the true protection provided to the marine environment. 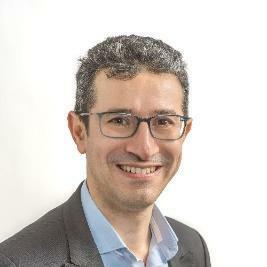 Jean-Philippe Bourgoin is senior advisor for research at the cabinet of Professor Frédérique VIDAL, french Minister for higher education, research and innovation. Before he was director for strategic analysis, member of the executive committee at the CEA (Atomic and Alternative Energies Commission) after he had been appointed Strategy and Programs Director in 2011 and Nanoscience Program Director in 2006. He was designated as France representative, by the Higher Education and Research Ministry, for various international missions related to nanotechnology. He was President of the Micro-nano sectorial scientific committee of the National Research Agency (ANR) and contributed to the development of nanotechnologies in France. Chris Bowler is the Director of Research at CNRS and head of the Laboratory of Plant and Algal Genomics at the Institut de Biologie de l’Ecole Normale Supérieure in Paris. He has been one of the scientific coordinators of the Tara Oceans project since 2009, and also a scientific director of the Tara Oceans Polar Circle expedition. An expert in plant and algal biology, Dr. Bowler was awarded the CNRS silver medal in 2010. In his laboratory, he decrypts the genomes of diatoms – photosynthetic unicellular protists that are major constituents of plankton and play a crucial role in the functioning of marine ecosystems. Erik Buch is the CEO of Buch Ocean, an Oceanographic Consulting Company engaged in projects on planning of ocean observations for operational services, climate and ecosystem health. Coming from the fields of physical oceanography and project management he was heading various relevant research institutes, including the Centre for Ocean and Ice at Danish Meteorological Institute from 1998 until 2013. 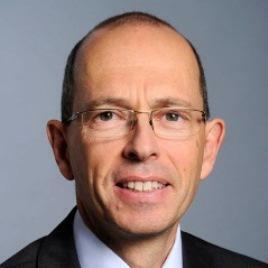 Further he has six years of experience as a chairman of EuroGOOS. 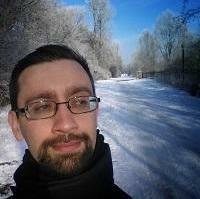 Pier Luigi Buttigieg is a Data Scientist at the Alfred Wegener Institute, Helmholtz Centre for Polar and Marine Research. His research focuses on marine microbial ecology and knowledge representation in Earth science. On behalf of the GOOS Biology and Ecosystems Panel, he leads the development of the Microbial EOV. He also coordinates the emerging Global Omics Observatory Network (GLOMICON), leads the development of UN Environment’s Sustainable Development Goals Interface Ontology (SDGIO), and contributes to the UNESCO/IOC-IODE Ocean Best Practices System. 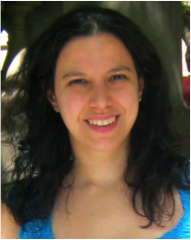 María Paz Chidichimo is a physical oceanographer at the Argentine Scientific Council (CONICET) and the Hydrographic Service in Buenos Aires. She obtained her PhD from the Max Planck Institute and the University of Hamburg (Germany), afterwards she was a postdoctoral researcher at the University of Rhode Island (US). She serves in the ISTAB for AtlantOS, the CLIVAR Atlantic Region Panel and the GOOS/GCOS Ocean Observations Panel for Physics and Climate. 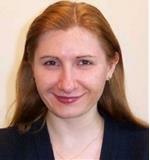 She is Lead Author of the IPCC SROCC. Her research focuses on how large-scale ocean currents change and how they impact the climate system using a variety of in situ oceanographic observations and satellite data. 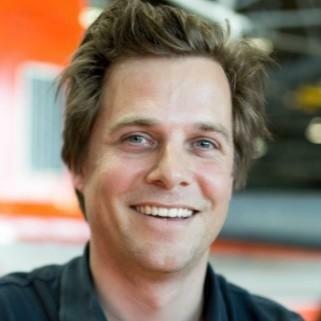 Sebastien de Halleux is the COO of Saildrone. 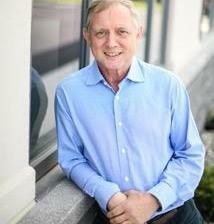 He is also a founding partner of Graph Ventures, an early stage angel fund with a portfolio of over 100 startups. 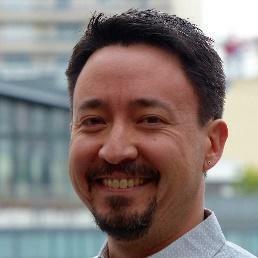 Formerly, Sebastien was Co-Founder and COO of Playfish, one of the largest and fastest growing social gaming companies. He is passionate about helping the next generation of entrepreneurs, acting as mentor for the Founders Institute, BetaGroup and 500 Startups. Sebastien holds a Masters degree in Civil and Environmental Engineering from Imperial College . 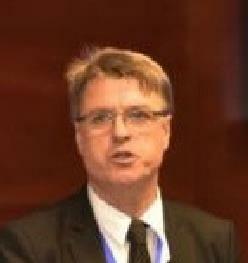 Frédéric Moncany de Saint-Aignan is the president of the French Maritime Cluster. He has a license as captain first class in maritime navigation. He became a pilot at the port of Rouen in 1990 and has been very involved in the various port communities and the local economy. As chairman of the French Maritime Pilots Association and senior Vice-President of the International Pilots Association, he has worked with all national and international maritime stakeholders. 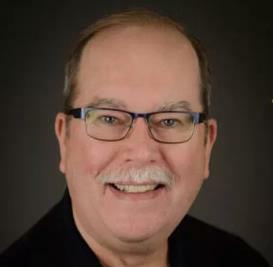 Brad deYoung is a Professor and Head of the Department of Physics and Physical Oceanography at the MUN in Canada. He also holds the Captain Robert A. Bartlett Chair in Oceanography. He has been working on ocean dynamics and coastal ocean ecology for more than twenty-five years. 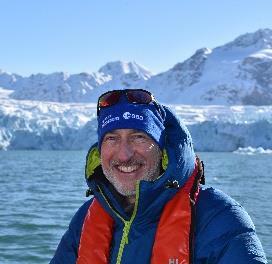 He has developed new sampling techniques, such as ocean gliders and cabled observatories and has been a leader in coupling biological and physical models for improving our understanding of the influence of circulation on zooplankton and icthyoplankton. Mark Drinkwater heads the ESA Earth and Mission Science Division of the European Space Agency’s Earth Observation Programmes Directorate, where he is responsible for the scientific user and mission requirements throughout preparation, development and operation of ESA’s Earth observation satellite missions. 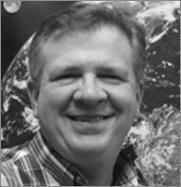 Currently, his role extends to ensuring the satellite and ground data processing systems of the Earth Explorer candidate missions, and the Copernicus Sentinel-6/Jason-CS, Sentinel Next Generation, and high-priority candidate Copernicus expansion mission designs are compatible with fulfilling their mission objectives, and ultimately by achieving their oceanographic goals. 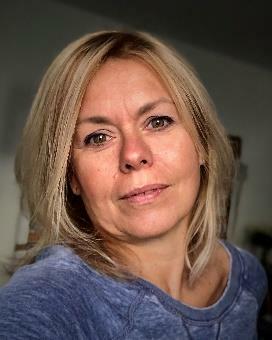 Peer Fietzek has been Manager Science and Research at Kongsberg Maritime Contros GmbH since 2015 and serves as an Underwater Science group member of the Kongsberg Maritime Subsea Fishery, Aquaculture, Naval, Science business unit. 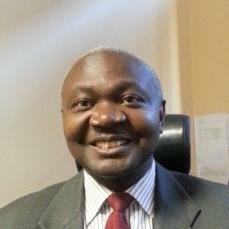 He is involved with science-industry collaboration projects and the management of Intellectual Property Rights. After having graduated in physics from the Technische Universität Darmstadt in 2007, he worked at GEOMAR Helmholtz Centre for Ocean Research Kiel and at CONTROS Systems & Solutions GmbH as a sensor developer for chemical oceanographic parameters followed by several technical management positions in the company until its acquisition. Albert Fischer is Head of the Ocean Observations and Services Section of the Intergovernmental Oceanographic Commission of UNESCO and Director of the Global Ocean Observing System Office. Albert is a physical oceanographer and climate modeler by training. In 2004, he joined the IOC, working with the oceanographic community in GOOS to sustain and develop the ocean observing system, and highlighting its importance with government representatives. His engagement with the ocean observations community was broadened through his work organizing the OceanObs’09 conference and supporting the team that developed a Framework for Ocean Observing. Jaap Geebraad has worked for about 10 years as Board Secretary and Senior Project Manager of the “Bureau Innovation Research & Development” of the Foundation STC Group. He was also the Daily Secretary of the European Association EDINNA (Education in Inland Navigation). 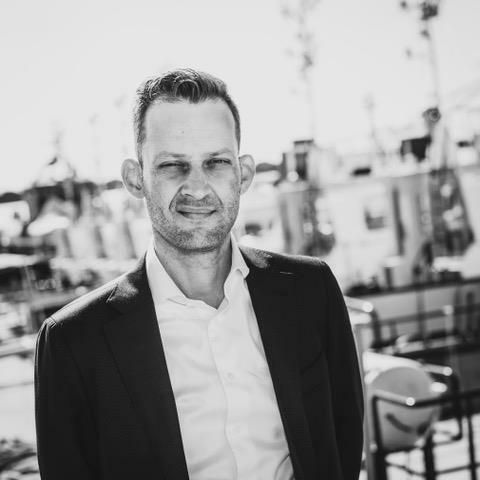 Jaap holds a Bachelor’s Degree in Logistics and Economics of the University of Applied Sciences (HES) in Rotterdam and a Master’s Degree in Shipping and Transport of the Netherlands Maritime University. Since August 2018, Jaap is Director Research & Development affairs at SEA Europe. 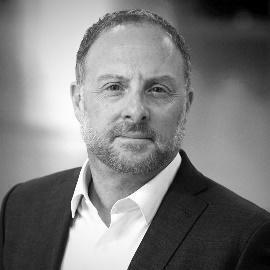 Since January 2019, he is in addition the executive-director of the European Waterborne Technology Platform. Sigi Gruber is the Head of the Marine Resources Unit, in the Directorate General for Research and Innovation of the European Commission. The Unit defines, implements and monitors Research and Innovation objectives and priorities to support European Union’s marine and maritime related policies, thereby contributing to the sustainable and responsible management of marine resources, both in Europe and globally. 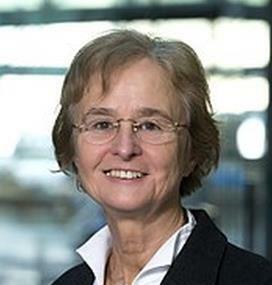 Sigi Gruber started to work for the European Commission in 1991, with different responsibilities in the area of Education and Training as well as Research. Prior to joining the European Commission, she worked in the public and private sector in Italy and Germany. Tarek Habib is part of the CLS team as the head of business development for environment and climate. After a PhD in satellite image processing at the French Space Agency (CNES), Tarek worked for a small SME specialized in Optical Earth Observation data processing to lead the activities of international business development. He then moved to a large European IT company as the Aerospace Business manager to help the Space sector move towards the use of big data and cloud technologies and develop new applications and services. He has technical background in multisensory satellite image processing, change detection and machine learning and business background in various earth science domains. Stephen Hall works as the CEO of the Society for Underwater Technology in London. His background lies in the field of ocean science, technology and policy. He worked for the UK’s Natural Environment Research Council for over 26 years, head of the UK’s delegation to UNESCO’s intergovernmental Oceanographic Commission and elected vice chair in 2015. His main interests include Stewardship and governance of the global ocean, especially in areas beyond national jurisdiction, technology foresight and many more. Peter M. Haugan is programme director at Institute of Marine Research, Norway and professor of oceanography at the Geophysical Institute, University of Bergen. He has wide experience in ocean science and international science policy and is presently the elected chair of the Intergovernmental Oceanographic Commission (IOC-UNESCO). Matthew Hebb is a key leader in the Ocean Supercluster, a new platform for collaborative innovation and commercialization backed by significant private and public investment. He is also chair of the Board of Halifax’s economic development agency. Matt was instrumental in the realization of several major ocean-related initiatives in Atlantic Canada, including the Ocean Frontier Institute and the Centre for Ocean Ventures and Entrepreneurship (COVE). 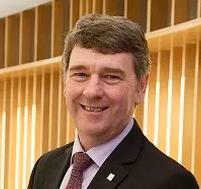 Peter Heffernan was appointed as Chief Executive of the Marine Institute, Ireland’s national agency for marine Research Technology Development & Innovation (RTDI) in 1993. The Marine Institute (MI) spans a number of service areas for Government and acts as a research performer and science advisor; a national funder and as a catalyst for innovation and development. This breath of service provision affords the MI a unique integrated appreciation of the potential of the marine resource for sustainable development. 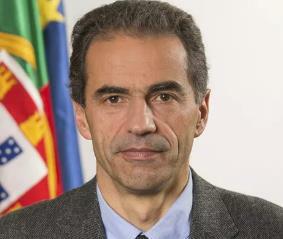 Manuel Heitor is Minister for Science, Technology and Higher Education in the Government of Portugal since November 2015. From March 2005 to June 2011 he served as Secretary of State for Science, Technology and Higher Education. Manuel Heitor is full Professor at Instituto Superior Técnico, IST, the engineering school of the University of Lisbon and was founder and director of the IST´s “Center for Innovation, Technology and Policy Research”, as well as director of the IST´s doctoral Programs in “Engineering and Public Policy, EPP” and in “Engineering Design”. In 2011-12 he was a Visiting Scholar at Harvard. 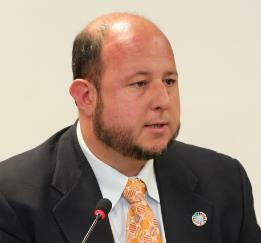 José Joaquín Hernández-Brito works as the CEO of the Atlantic International Research Centre (AIR CENTRE). He has been a marine science researcher, responsible or collaborator of over thirty national and international projects. He has held several R&D&I management positions at research and scientific infrastructures. His primary motivation is to develop collaboration and sharing knowledge, technology and innovation in the Atlantic area, opening new frontiers in developing untapped marine and maritime opportunities, tacking global problems to create local value. Claire Jolly is heading the Innovation Policies for Space and Oceans Unit in the Directorate for Science, Technology and Innovation (STI) in the Organisation for Economic Co-operation and Development (OECD), an intergovernmental organisation based in Paris. She is in charge of the OECD research and analysis on the economics and innovation dimensions of two important emerging sectors: new ocean industries and the space sector. Claire has twenty years of experience in international business and policy analysis, having advised governments, public and private organisations in STI policies, aerospace, energy and defence. Kellee Koenig is the Senior GIS Manager and Cartographer at Conservation International (CI) where she leads CI’s GIS strategy, map production, GIS capacity building, data management, and identifying appropriate data and tools for spatial analysis. She also guides CI’s relationship with Esri. The over 1,000 maps produced to date by Miss Koenig are used for scientific publications, communications materials, presentations. Miss Koenig is a GISP and current board member of the Society for Conservation GIS. Pierre-Yves Le Traon, an oceanographer, is the scientific director of Mercator Ocean International and research director at Ifremer. 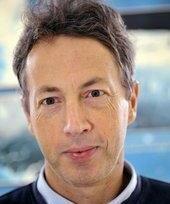 He is in charge of the scientific direction of the Copernicus Marine Environment Monitoring Service (CMEMS). P.Y. Le Traon is member of the GOOS, GEO Blue Planet and EOOS Steering Committees. He also chaired the council of the European research infrastructure Euro-Argo ERIC and is member of the international Argo steering team. 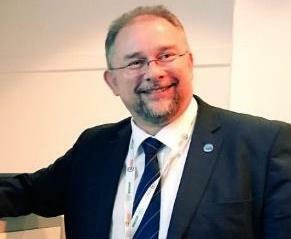 He was member of the ESA Science Advisory Committee and co-chair of the International GODAE Steering Team. David M. Legler currently serves as the Director of NOAA’s Ocean Observing and Monitoring Division. The Division is leading NOAA’s efforts to develop and sustain a global observing system for climate and other purposes. 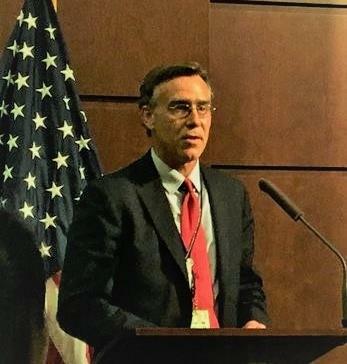 Dr Legler co-chairs the Observations Program Area of the WMO-IOC Joint Technical Commission for Oceanography and Marine Meteorology (JCOMM) and co-chairs the US Inter-agency Ocean Observation Committee. He has published on a range of topics such as ocean remote sensing, air-sea interaction, and the impacts of ENSO on US agriculture and water resources. 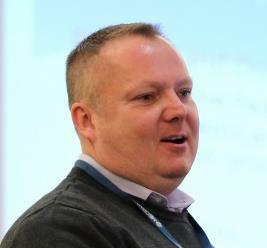 Keith Lennon is the Director of Ocean Sciences Branch at the Department of Fisheries and Oceans. 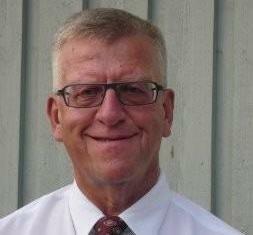 In the past, he has served as Senior Advisor to the Assistant Deputy Minister of DFO. He attended Lakehead University where he earned a BASc in Biology. Keith has played a major leadership role in the recently announced establishment of a Canadian Integrated Ocean Observing System or CIOOS. 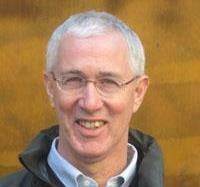 Gilles Lericolais has been a marine geologist/geophysicist at Ifremer since 1984. He has been chief scientist for more than 10 scientific cruises. He has been appointed Chair of the ECORD Facility Board for the 2016-2018 mandate. In 2011, he was appointed as Director of the European and International Affairs of Ifremer and therefore participates to the Management Board of Ifremer. Pascale Lherminier currently works at the Laboratory for Ocean Physics and remote Sensing (LOPS), Institut Français de Recherche pour l’Exploitation de la Mer (Ifremer). She does research in physical oceanography, with a strong interest in the impact of ocean circulation on biogeochemical cycles, mainly based on data. Her current project is ‘OVIDE – subpolar North Atlantic observatory’ and ‘AtlantOS: Optimising and Enhancing the Integrated Atlantic Ocean Observing Systems’. Eric Lindstrom is the Physical Oceanography Program Scientist in the Science Mission Directorate at NASA Headquarters in Washington D.C. He recently served as Co-chair of the international Global Ocean Observing System Steering Committee and is Co-chair of the US Interagency Ocean Observations Committee (IOOC). His scientific interests include the circulation of the ocean and air-sea exchange processes and include extensive experience in both sea-going oceanography and remote sensing. Karin Lochte is the first deputy chairperson of the Deutsche Allianz Meeresforschung, an association of all German ocean research institutions. Her professional background lies in the field of marine biology and oceanography with a special focus on climate change. She was heading the Alfred Wegner Institute in Bremerhaven from 2007 until 2017 and was Vice-President of the Helmholtz Association 2009-2011 where she coordinated the research field “Earth and Environment”. She is presently member of the Senate of the Leibniz Association, council member of NERC (UK) and scientific advisor to several universities and marine research institutions. Laurent Marie is the founder of the association L’Ame Bleue. He is a professional firefighter in Brest and passionate about freediving and sailing. Therefore, he created L’Ame Bleue to educate young and old to the preservation of the environment that surrounds them. The goal of the organization is to promote the wealth, fragility and diversity of the marine world, the different cultures encountered during expeditions aboard a sailing ship and apnea experiences and to raise awareness on different topics such as global warming, pollution, our consumption patterns and the rights of indigenous peoples. 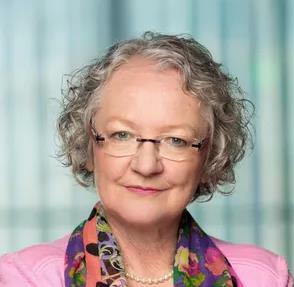 Gesine Meissner is a German politician and Member of the European Parliament (MEP) from Germany. 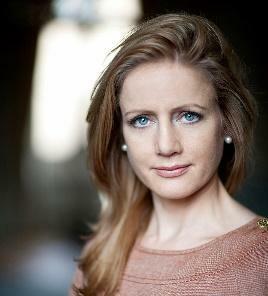 She is currently Special Envoy of the President of the European Parliament on Maritime Policy. She is Member of the Committee on Transport and Tourism, substitute member of the Committee on Environment, Public Health and Food Safety as well as substitute member of the Committee on Industry, Research and Energy. Additionally, she is the chairwoman of the European Parliament Intergroup on Seas, Rivers, Islands and Coastal Areas. She is involved in various groups and delegations, including religious tolerance and latin-american-relations. 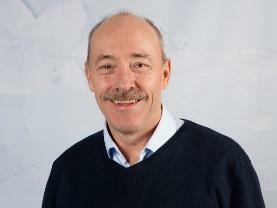 Ole Arve Misund is the Director of the Norwegian Polar Institute since September 2017. Further he works as an Assistant Professor at University of Bergen and is a member of the board of NERSC since 2017. Beforehand he used to be the Director of the National Institute for Seafood and Nutrition (NIFES). As a scientist at the IMR from 1990 – 2000 and while working with ORSTOM he specialized in fisheries technology, abundance estimation of fish, and fish behaviour. 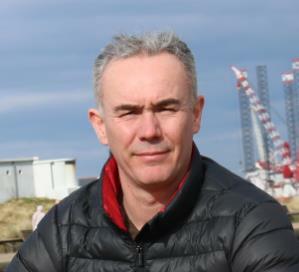 Colin Moffat is the Chief Scientific Advisor of Marine in Scotland. He is also co-chair of the UK Marine Science Coordination Committee, which is responsible for overseeing the UK Marine Science Strategy. He provides advice to both the Scottish and UK Governments and to International fora such as the OSPAR Commission. His current research is mainly concerned with marine assessment methodology, contaminants and their effects on marine biota and the use of fatty acids as trophic markers. 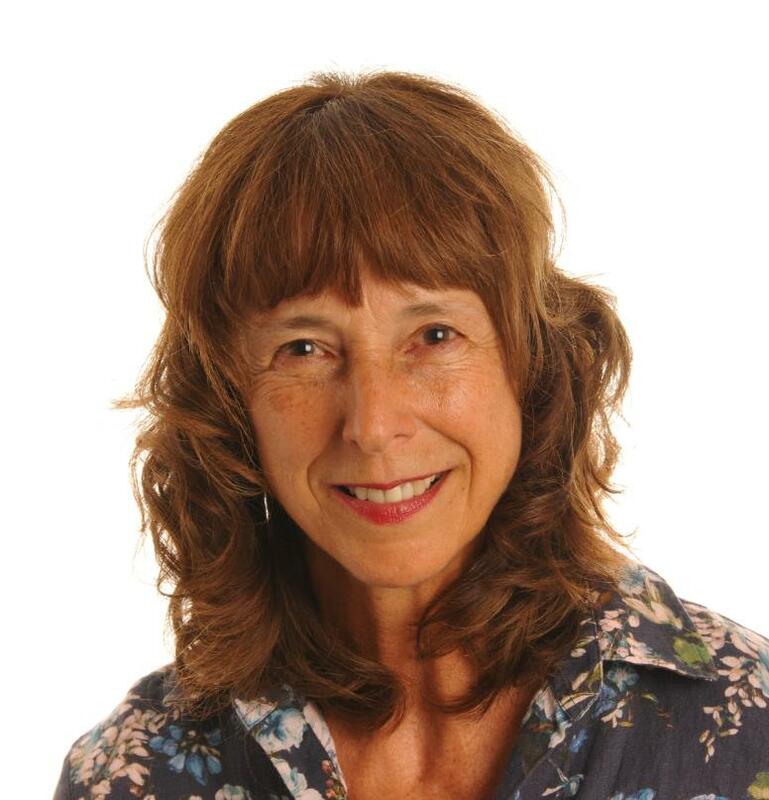 Caron Montgomery is the Head of Chief Scientific Adviser’s Programme Office & Strategy at Defra (Department for Environment, Food and Rural Affairs, UK). She studied biology and specialized in fisheries ecology and management. Glenn Nolan currently works as Secretary General of the European Global Ocean Observing System (EuroGOOS AISBL) based in Brussels, Belgium. He leads EuroGOOS in delivering the 2015-2020 strategic plan to promote, cooperate, co-produce and sustain Europe’s Ocean Observing System. He has managed multi-disciplinary teams in both the public and private sector with a focus on service delivery to end-users of marine information including ocean forecasting, wave energy, aquaculture practitioners, government departments and the general public. Stanislas Pachulski is working for ESRI France, popularizing the use of Geographic Information Systems and the ArcGIS platform in education. He is working with schools and universities to help them teach with GIS and with NGOs to set up projects requiring GIS for humanitarian, risk management, etc. He is a graduate of MIAGE Lyon and specialized and worked in his field since the mid-1990s. Matthew Palmer is Chief Scientist of the UK Marine Autonomous Robotic Systems facility, tasked with Science Community Engagement. His scientific background is based on better understanding of ocean mixing and its role in physical and biogeochemical cycles. Matthew also leads on UK marine science groups responsible for coordination of ocean observing networks and providing evidence for government reporting, such as for MSFD. Internationally, Matthew has been associate editor of two peer reviewed journals, participated in expert panels and is a member of the EGO and GOOS OceanGliders programmes. Nadia Pinardi is the oceanography co-president of the ​World Meteorological Organization and Intergovernmental Oceanographic Commission’s Joint Committee for Oceanography and Marine Meteorology (JCOMM). Since the mid-1990s, Pinardi has coordinated the implementation of operational oceanography in the ​Mediterranean Sea. Her research interests range from ocean predictions to data assimilation, to oil pollution at sea and coupled physical-biochemical models. She is Executive Board Member of the Mercator Ocean International and Member of the Strategic Board of the EuroMediterranean Center for Climate Change. Andrei Polejack is the General Coordinator for Oceans, Antarctica and Geosciences of the Brazilian Ministry of Science, Technology, Innovation and Communications, who has been working with Marine and Antarctic Sciences for more than a decade. Originally, he is a biologist, with a Masters in Ecology at Universidade de Brasilia. Among other activities he coordinates the Brazilian research endeavours in the Atlantic and Antarctic, providing technical advice on actions of governance, analysis of research projects, the formulation and implementation of public policies, settling international cooperation, managing budget. Vladimir Ryabinin (Eng., 1978, Ph.D., 1982, and Doctor of Sciences, 1995) has been the Executive Secretary of the Intergovernmental Oceanographic Commission of UNESCO and Assistant Director-General of UNESCO since 2015. Dr Ryabinin is an oceanographer, climatologist, marine engineer, and emeritus meteorologist of the Russian Federation. His research was marked by several prominent achievements in the medium range weather prediction, marine services, offshore projects, and climate research. His research, lecturing and work on international cooperation were conducted in prominent positions at the Hydrometcentre of Russia, Moscow State University, International Ocean Institute (as Director), World Meteorological Organization, and World Climate Research Programme. Dr Ryabinin has been a part of the design teams for the following major research and development initiatives: USSR numerical medium-range (weekly) weather prediction system, Russian Federal Program “World Ocean”, national marine prediction and services system, Global Ocean Observing System, Joint Technical Commission of IOC and World Meteorological Organization for oceanography and marine Meteorology, International Polar Year, and UN Decade of Ocean Science for Sustainable Development (2021-2030). 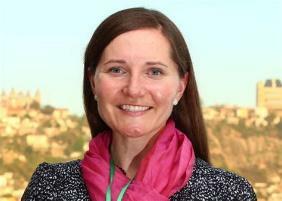 Sophie Seeyave is the Chief Executive Officer (CEO) of the Partnership for Observation of the Global Ocean (POGO). Her scientific background is in phytoplankton ecology/Harmful Algal Blooms. 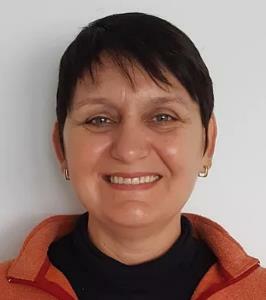 She is experienced in project management and international science coordination, capacity building, communications and outreach, having worked for the Surface Ocean Lower Atmosphere Study (SOLAS) and, since 2010, for POGO. She is a Co-Chair of the Blue Planet Initiative of the Group on Earth Observations (GEO) and has also served on the GEO Programme Board since 2017. Yonah Seleti as Chief Director for Science Missions at the Department of Science and Technology, South Africa directs a portfolio of work that includes Marine and Antarctic Studies, Earth Systems Sciences- Global Change, Palaeosciences and Indigenous Knowledge systems. Dr Seleti represents the DST as member of a Triparty Coordinating Committee of the Belem Statement and the South –South TransAtlantic Alliance between South Africa and Brazil. He is involved in the Operation Phakisa-Oceans Economy as Departmental Contact for coordinating research. Ricardo Serrão Santos is Member of the European Parliament since 2014 and full member of the European Parliament’s Committees on Fisheries and Agriculture and Rural Development. He is Coordinator of the S&D at the Committee of Fisheries, Vice-Chair of the EP’s Intergroups of SEARICA and EBCD. Recently was selected to join the IOC/ UNESCO “Executive Planning Group” for the “UN Decade of Ocean Science for Sustainable Development (2021-2030)”. Serrão Santos is a member of the Portuguese Academy of Sciences and emeritus member of the Portuguese Navy Academy, and Speciality Chief Editor in Frontiers or Marine Sciences/ Deepsea Environments and Ecology. Sabrina Speich is Professor in Ocean, Atmosphere and Climate Sciences at the Ecole Normale Supérieure in Paris where she is also the Dean of Studies of the Department of Geosciences. She is member of the Laboratoire de Météorologie Dynamique of the Institut Pierre-Simon Laplace (IPSL). Her research focuses on the uncovering and understanding of ocean dynamics and its role in the Earth’s climate and marine ecosystems. She is an internationally recognized expert in ocean modeling as well as in organizing wide programs of in situ observations. Lisa Emelia Svensson, Director/Coordinator, Marine and Coastal Ecosystems Branch, Division of Environmental Policy and Implementation, United Nations Environment Programme. Lisa Svensson is heading up the marine and costal ecosystem work program in the UN. 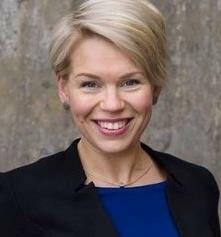 Before taking up her assignment in UN, she was Sweden’s Ambassador for Ocean, where she has advised the Government of Sweden on international ocean affairs issues. She has over 18 years in the foreign service, posted in New York, Stockholm, Washington, Brussels, Paris and Nairobi. Nicolas Tamic is the Deputy Director of the Center for Documentation, Research and Experiments on Accidental Water Pollution (Cedre). This French not-for-profit organization provides expertise, advices to French and foreign authorities in charge of spill response. Cedre also provides oil and chemical contingency plans to public and private sectors and owns unique facilities to train 1000 people a year in real conditions, using 2 basins, a 6000 m² man-made beach where pollutants can be released without any environmental risk. Lastly, Cedre is an information center gathering worldwide knowledge about chemical and oil pollution. 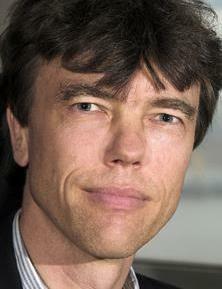 Toste Tanhua is senior scientist at GEOMAR Helmholtz Centre for Ocean Research Kiel. His professional research interest is in transient tracers, ocean biogeochemistry and ocean observing. His educational background lies in the field Analytical and Marine Chemistry. He is engaged in international work as co-Chair of the GOOS Steering Committee since 2017 and served on the IOCCP (The International Ocean Carbon Coordination Project) SSG between 2007 and 2017 (2010-2017 as chair). Cesar Toro is the Head of IOCARIBE – IOC of UNESCO Regional Subcommission that includes 32 countries of Latin America and the Caribbean. He is a specialist in dynamic oceanography, and has developed ocean hydrodynamic models, has been working in climate change adaptation and mitigation, sustainable development, and ocean governance. Between 2009 and 2015 Dr Cesar Toro was also responsible for UNESCO Natural Sciences Programme for the Caribbean. Dr. Toro coordinates several major UNESCO/IOC projects for Latin America and the Caribbean, partnering with the Wprld Bank, IADB, WMO,UNEP, GEF, EU, NGOs and other UN and international development agencies. 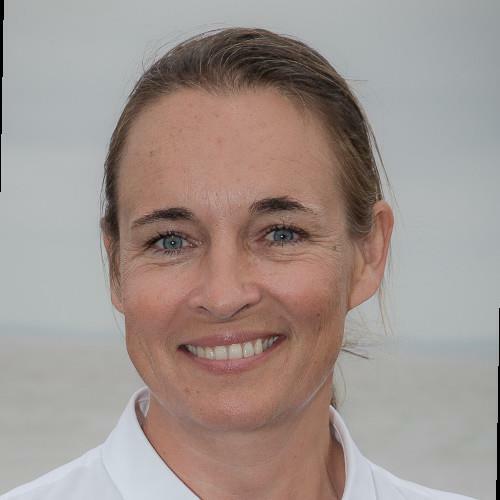 Anne-Cecile Turner is the Sustainability Director of The Ocean Race. In 2009 she founded Blueshift, sustainability consultancy, specialized in helping organisations to motivate decision makers and employees to integrate sustainability throughout the whole value chain. She successfully delivered campaigns, tools and programs for sports events organisers, international brands and NGOs. From 2011-2016 she joined Race for Water Foundation, an NGO dedicated to preserve water from plastic pollution as the Director of the organisation. 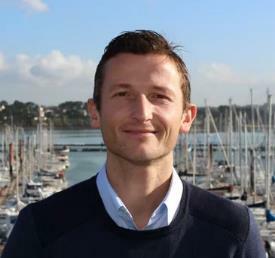 Richard Vallée is the Vice President of Sales for Innovasea’s Fish Tracking Unit, formerly known as Vemco. Richard holds degrees in Physics, Electrical Engineering and Business. Richard has over 30 years experience developing embedded systems solutions using ASICs, FPGAs, microelectronics and sensors. As part of Innovasea’s Fish Tracking Unit, he specializes in developing studies for tracking wild fish stocks, in both Marine and Fresh Water ecosystems, using acoustic telemetry solutions (ultrasonic tags and receivers). His more recent interests are in combining acoustic telemetry solutions for fish tracking with environmental monitoring of aquatic ecosystems. 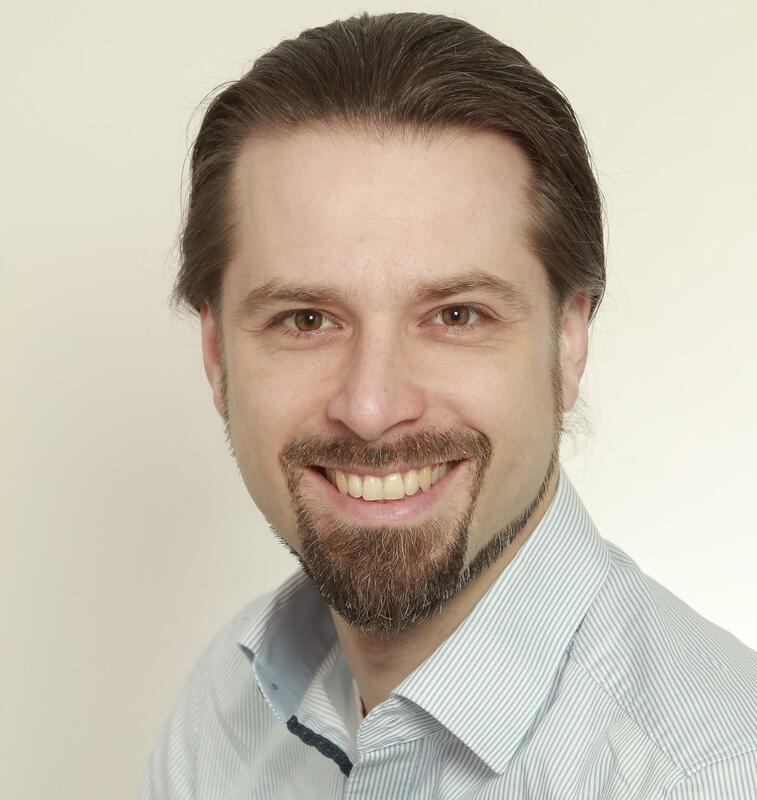 Martin Visbeck is head of research unit Physical Oceanography at GEOMAR, coordinator of the H2020 project AtlantOS and the speaker of the “Future Ocean” Excellence cluster in Kiel. He is president of the Oceanography Society and on the Steering Committee for the International Science Council. His research interests revolve around ocean and climate dynamics, sustained ocean observing and ocean sustainable development. He is involved in strategic planning and decision-making processes about the ocean and sustainable development at a national, European, and global level. 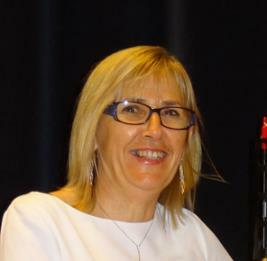 Zdenka Willis is the President Elect at Marine Technology Society. With more than thirty-five years of successful leadership of complex scientific and technical organizations she became globally recognized for collaborating among international science and technology programs. 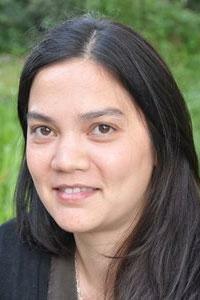 She is mainly focused on the importance of earth observations for a sustainable Blue Economy. Anne-Cathrin Wölfl is a postdoctoral research associate in the research division Dynamics of the Ocean Floor at the GEOMAR Helmholtz Centre for Ocean Research Kiel in Germany. She received a PhD from the University of Hamburg in 2015 working on fjord systems in maritime Antarctica. Her work now focuses on investigating the deep ocean floor by hydro-acoustic means including the collection, processing, visualisation and interpretation of high-resolution bathymetry data. She has a passion for exploring data using multivariate data analysis and GIS; and further advocates for marine conservation, open science and data sharing.